Why are you interested in buying my house? 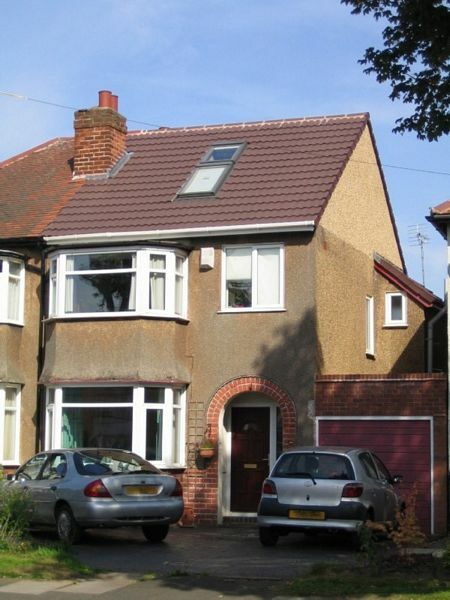 We are an independent landlord building up a portfolio of good-quality housing in the south-east Birmingham area. Our philosophy is to provide attractive and comfortable homes at competitive rents and look after our tenants well, building an atmosphere of mutual respect which makes our tenants want to remain with us for a long time. How fast can you buy? We can make you an offer within a few days – and will normally leave the offer open for at least a week if you need time to consider it before making a decision. We aim to exchange contracts within a month once our offer has been accepted. We will offer you a price based on the open market value of your home – that is, the price you could reasonably expect to achieve if you were to market it through an estate agent for the sale to complete within 3-6 months. In return for a quick purchase, we will buy your house at an agreed discount, typically offering around 80% of the open market value. Our aim is to buy your home quickly and for a price that works for you as well as us, and of course we want to make the process as hassle-free for you as possible. There should be no cost to you at all. We will cover your legal costs (up to £600 + VAT) and the costs of any survey required. And remember you will also be saving the fees that you would have to pay if you sold through an agent – typically 1.5 to 2% of the sale price. After a chat on the phone, we’ll come to your property for an initial consultation and, if we are able, will then make a written offer (subject to survey and contract) – generally within 2-3 days – based on what you've told us and our own assessment of the property and the market. You’ll normally have up to a week, possibly a little longer, to let us know whether you are interested in our offer, so that will give you time to consider your options and seek advice if you need to. Our consultation will be completely without obligation and free of charge. We aim to treat you as we would like to be treated ourselves if we were in your situation! We do ask, of course, that you show us the same courtesy and don't agree to deal with us then accept what may appear to be a better offer from someone else. If we don’t feel that we are able to take on your property ourselves – for example if it is beyond our budget – then we can put you in touch with another fast buyer if you wish. Alternatively, if you need a higher price and don't mind waiting a little longer for a sale then we might be able to suggest ways of achieving this. If we believe that selling your home isn't the best course of action for you then we'll say so, and will offer whatever alternative suggestions we can. However, please note that we cannot offer advice; we are not financial advisers (who have to be regulated by the FCA) and so cannot take responsibility for any losses you may incur as a result of following our suggestions. (b) take over the management of your house, paying you a guaranteed monthly rent to cover the mortgage costs, and letting the house out on your behalf. We might do this with the intention of eventually buying it from you ourselves at a price - agreed at the outset - that will settle any outstanding debt you may have on the property, and may even (depending on the level of that debt) give you a little extra left over. In order for either of these options to be feasible, you would have to be able to get your lender's permission to rent out the property, and the achievable rent would have to be significantly more than your mortgage payments. What if my property needs work? That's fine, the cost of any improvements required will be reflected in the valuation. We're happy to take on some refurbishment work, subject to our budgetary constraints. What if I am under threat of repossession? First of all, if you're in arrears with your mortgage payments then the Home Saving Expert website (opens in a new window) may help you. If you have any doubts about its author, try Googling his name and you'll find his helpful blogs and postings on a number of reputable websites. Other resources that you may find helpful are StepChange (formerly the Consumer Credit Counselling Service),the National Debtline, and the Consumer Action Group forum. You should be aware that the repossession process typically takes around six months from falling into arrears to being issued with a court order, so you do have time to negotiate with your lender to see if you can restructure your loan to make it more affordable. It may be possible to do this by extending the term, for example. If for some reason this doesn't work for you, we may be able to intervene on your behalf to negotiate some breathing space, freezing the debt until the property is sold and you are able to pay it off. If the lender perceives that there is a good chance of the debt being settled then they may prefer this option to the prospect of repossessing the property and possibly making a loss. It should go without saying that repossession is something to be avoided if at all possible; the lender will add significant costs to the existing debt and the interest will continue to accrue until the property is sold, so it's likely that any equity that you may have had will be eaten up. Your credit record will also be very severely damaged, making it difficult for you to obtain any kind of credit or even pass a credit check to rent another home. If your lender has already begun repossession proceedings then we may ask you to grant us Power of Attorney for the management of the property; this will give us the authority to deal directly with your lender on your behalf. However, we strongly recommend that you speak to your solicitor before granting Power of Attorney, as the legal repercussions can be significant. If you are due to be repossessed within the next 2-3 weeks or so then we may not be able to help you directly, but may be able to refer you to a bigger investor who can process a purchase more quickly than we are able to. What if I owe as much as – or more than – the house is worth? If there is little or no equity in your home then we may still be able to buy it from you, but an immediate sale will not settle your debt in full, and you will be left with unsecured borrowings which your lender will still require you to pay back. (For this reason it's possible that the lender may block the sale.) If your mortgage agreement is subject to an early redemption penalty then this will be added to the debt. Depending on your mortgage arrangements and the urgency for a sale, we might alternatively be able to use a "rent now, buy later" approach as described above. Can I sell you the house and then rent it back so I can continue living in it? Unfortunately, much as we would love to enable you to stay in your home, since early 2010 the sale-and-rent-back (SARB) market has become very heavily regulated - to the extent that in early 2012 it was shut down altogether. (This is primarily because some unscrupulous investors have ejected the former homeowners at the earliest opportunity, and also partly because some sellers have had to leave their homes anyway as a result of being unable to afford the rent.) If you do find a buyer who claims they can buy your house and rent it back to you, please make sure you check the legality of what they are offering. One way that it may be possible for you to sell your home and rent it back - provided that you meet certain vulnerability criteria - is through a mortgage rescue scheme. Yes, absolutely, we need you to be confident that the solicitor you use is acting in your interests. If you don't have a particular solicitor in mind then, if you wish, we can ask our solicitor to suggest someone they believe will provide a good service. What if I decide I want to back out of the deal? You are free to walk away from the sale at any point up to exchange of contracts, or until we take on Power of Attorney for the management of your property, at which point you are legally committed to the sale. I think I may be interested. What should I do now? Just fill in the enquiry form and we’ll get back to you as soon as we can. Remember, you are under no obligation!